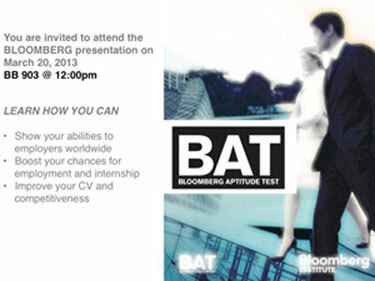 Bloomberg is hosting a presentation entitled “Bloomberg Aptitude Test” on March 20, 2013. Show your abilities to employers worldwide. Boost your chances for employment and internship. Improve your CV and competitiveness.